This was our first visit. 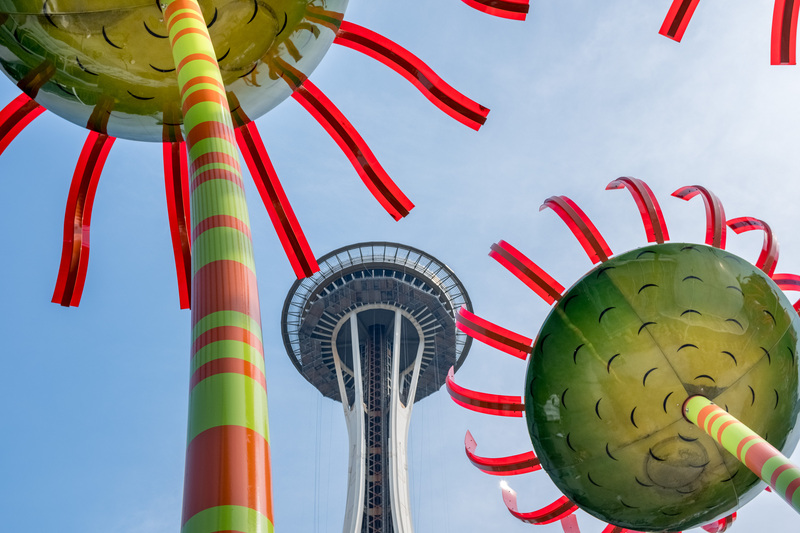 We saw most of the obligatory sites – the Space Needle, Chihuly Gardens and the awesome MoPop. We rode the monorail. We enjoyed beautiful weather during most of our brief stay. It was a bit smoky from the numerous forest fires, but we did manage to see Mt. Rainier once from our eighth-floor room at the spectacular Thompson Seattle Hotel. The food was mostly very good. The sushi at Sushi Kashiba and the wonderful breakfast at Cafe Campagne are most memorable.